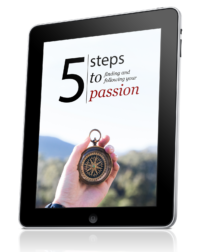 Do you want to discover how to write blog posts that build a thriving audience? 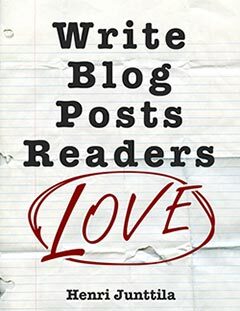 My book Write Blog Posts Readers Love: A Step-By-Step Guide is out now. In this book, I wanted to put together all the techniques and tricks I use to write blog posts. This is the book I would’ve wanted to read when I was starting out, because it would’ve saved me oodles of time. I started this blog from scratch. I didn’t have influential connections. Heck, I wasn’t even that good of a writer, but I somehow managed to build a 10,000+ subscriber blog and build several income streams on the side. And I did it all because of my writing. If you want to discover how I write, what works, and what doesn’t, then you’ll love this glorious book. And yes, so much more. As always, I need your help to get reviews on Amazon so this book can inspire more people to write and share their stories with the world. This is extremely important. Leaving a review only takes a few minutes.So remember to leave a review once you’re done, and if you think it’s important for more people to follow their inspiration. If you have trouble downloading the book, get in touch with me and I’ll help you out. And if you have any other questions, comments, or thoughts, feel free to drop them in the comments below. Thanks Henri for offering this. I will definitely read and post back a review. I start my site from nothing as well and I’m not nearly as successful, but I am gradually gaining readers. I get stuck sometimes with what to write next so I’m really looking forward to your advice on how to keep going. I usually write fairly easily but this past couple of months since my traveling companion, my Dinah Dog, passed on, I’ve been spending my time grieving and learning to move on without her. I haven’t wanted to bore my few readers to death so I’ve posted far less than I normally do. Thank you for all your encouragement in blogging – I look forward to your posts. I’ll read your book and post a review as well. Thank you ever so much, Monica! 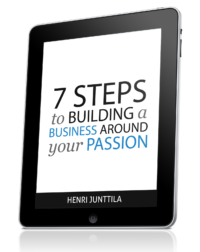 Congrats on the new book Henri!